The question: how do you open and close the rear door with the key? I wanted to post this question on Twitter, but then I realized it’s not how real life works. In real life you don’t UX-analyze things. You go to the rear door with a screaming girl in one hand, a melting chocolate bar in the other, and there is even a TV remote sticking out of your back pocket. How did the remote end up in your back pocket? Who knows! The only thing you want is to put SOMETHING into SOMEWHERE then expect the result to happen. You don’t have the time or leisure to look at things. I didn’t even see the dots! This is exactly how I, as a user of this interface, went about it: I inserted the key into the lock and turned it left, then I was expecting the door to either open OR close depending on the previous state it was in. And I did that exactly. The door opened, and when I was out in the city (in an even more complicated child situation) wanting to close the door, I put the keys in, I turned the same direction and the rear door was still open. I tried turning the other way around, then the back window opened. I retried the whole thing a couple of times, then I labeled the issue as something that a car electrician needs to fix. I even took the car to the expert who almost started to tear the whole lock down when it dawned on me. 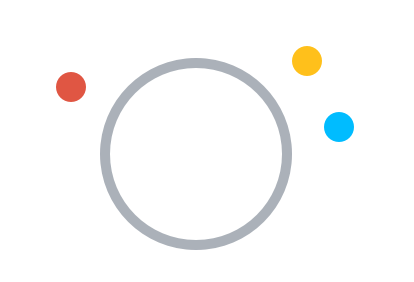 The solution: red – open, blue – open window, yellow – close. You need to feel how far you can turn that key until it closes. Turn it a bit more and you pop the window open. You need to learn all of this. Did the designers of Honda make a horrendous mistake? I honestly don’t know. How would you have solved this design challenge? You have a lock and a key, but you need to operate three things with it. First of all, it was my sole assumption that by turning the key to the left it reversed the previous state it was in. I don’t know why. Maybe it’s not even a good thing because then you need to manually check, by pulling the lever, if the door is really closed. I don’t mind that, but maybe you do. I have a quick fix for the whole mechanism though: let’s leave everything as is for now, but switch the the yellow and blue dots. You rarely open the back window, but you do want to close the door frequently. This way if you need to open the window, you need to turn it halfway. 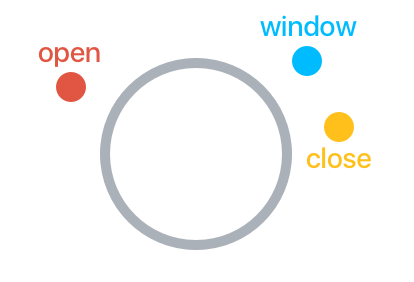 All you need to learn is: left – open, right – close, in between – window. But here is the thing: I don’t want to learn. I want to use. I see a keyhole, I want to put my key inside and I’m expecting the mechanism to either lock or unlock and maybe give me a feedback about it. A short chime perhaps?